Let Ann and Mike welcome you to Cae Berllan. 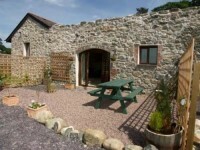 At Cae Berllan we offer three converted stone properties with all the needs of modern day living. 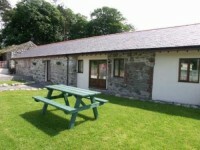 The self catering cottages enjoy a splendid rural location situated at Llandwrog a small village three miles outside of Caernarfon, convenient for easy access to the historic coastal town and majestic castle as well as the Snowdonia National Park. On the farm we have horses and ponies, a few sheep and a few chickens. 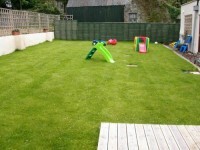 We have a orchard of about 70 trees which is a ideal area for picnics and for children to play. For our younger clients there is a play/sitting area to the back of the cottages which is covered in chip bark and has secure gates. We have ample parking for cars, boats and jet-skies. We can also accommodate cyclists with an extensive cycle path just 1 mile away. We are ideally situated for those looking to explore this magnificent part of Wales. Within 10-30 minutes you can be walking the streets or on the beaches of Porthmadog, Pwllheli, Anglesey or the Llyn Peninsular. Close by are Caernarforn Castle, Caernarfon Marina(see above), Snowdonia (see above) and award winning beaches (blue flag).